Swimming with contact lenses should be avoided whenever possible to help prevent bacterial contamination of your eye. Swimming with contacts can result in eye infections, irritation and potentially sight-threatening conditions such as a corneal ulcer. Swimming with contacts can irritate and even damage your eyes. Wearing swim goggles is a safer way for you to see clearly both above the surface and underwater. Proper contact lens care reduces further the chance of contamination. Remember to replace your contact lens case at least every three months and always follow your eye doctor's recommendations. Rigid gas permeable (GP) contact lenses should never be worn while swimming, as they are more likely to dislodge from your eye. While soft contact lenses are more likely to remain on your eye when swimming, they are porous and can absorb chemicals and bacteria, increasing the risk of eye irritation and infection. Also, fresh water and water in swimming pools can cause soft lenses to tighten on your eyes, causing significant discomfort. Getting water in your eyes when swimming also rinses away the natural tears that lubricate your eyes and can worsen existing eye conditions such as chronic dry eyes. If you do decide to swim with contact lenses, daily disposable lenses are the safest option. They are meant to be worn and thrown away after a single use, eliminating the need to clean and disinfect them. To be safe, it's a good idea to discard daily disposable lenses immediately after swimming, rinse your eyes with rewetting drops or artificial tears approved for use with contact lenses, and then replace the lenses with a fresh pair of daily disposables. If you use daily disposables for occasional wear, they offer good value for money when comparing the cost of contact lenses. Always contact your eye doctor immediately if you experience prolonged eye irritation or sensitivity to light after wearing your contact lenses in water. If you're going to swim while wearing contact lenses, the best way to reduce your risk of eye irritation and infection is to wear waterproof swim goggles. In addition to protecting your eyes from waterborne contaminants, swim goggles reduce the risk of your contacts dislodging from your eyes. Prescription swimming goggles are another good option. Prescription goggles are custom-made to correct your refractive error, just like eyeglasses or contact lenses, enabling you to see clearly underwater without any of the risks associated with swimming with contacts. Some brands of swim goggles come in ready-made prescription versions as well. While they may be an option for you or your children, they do have drawbacks. For example: they don't correct astigmatism; they come in only the most common prescription powers; and both lenses have the same prescription, while many people's eyes do not. An added advantage of wearing swim goggles is that you can choose UV-protective goggles to avoid sun damage to your eyes. Many people, especially those with a very active, sporting lifestyle, choose to correct their myopia(nearsightedness), hyperopia (farsightedness) or astigmatism with LASIK laser eye surgery and say goodbye to glasses or contact lenses. LASIK and other types of refractive surgery — such as PRK and LASEK — reshape the cornea using a computer-controlled laser beam, allowing light entering the eye to be properly focused onto the retina for clear vision. LASIK surgery has an excellent safety profile, and most people achieve 20/20 or better vision without glasses or contact lenses after a LASIK procedure. However, as with any other surgery, the risks and complications of LASIK need to be carefully considered before you undergo the procedure. Another alternative is orthokeratology, or ortho-k — a non-surgical way to temporarily correct your refractive error and reduce your dependence on eyeglasses or contact lenses. Ortho-k uses specially designed and fitted contact lenses that reshape your cornea, so you can see clearly even after you remove the lenses. The lenses typically are worn at night while you sleep, negating the need to wear glasses or contacts at all while you're awake. 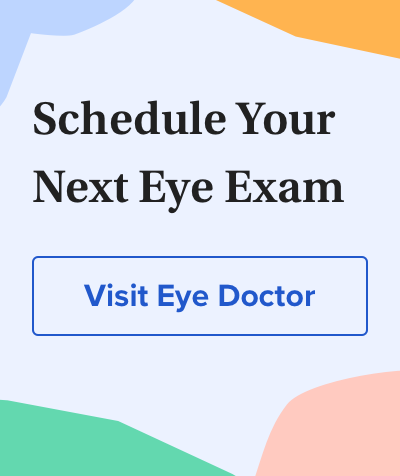 Your eye doctor or a sports vision specialist will be able to advise you on your best eyewear options for swimming and other activities you enjoy.